Now that it's after mothers day, I can post these image! Why you might ask, because for mothers day they booked a session for their mother. 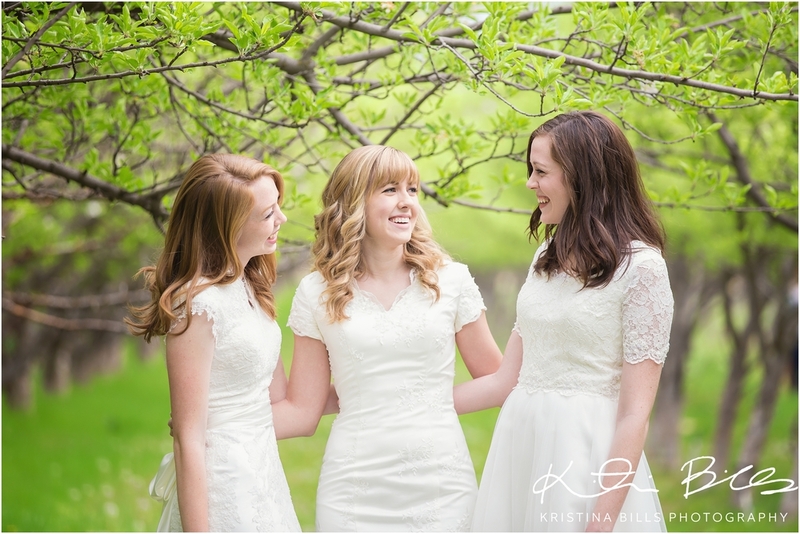 These gorgeous girls all got married within a year time frame of one another and their mom always wanted pictures of the three of them together, in their dresses. Such an adorable idea and thoughtful. 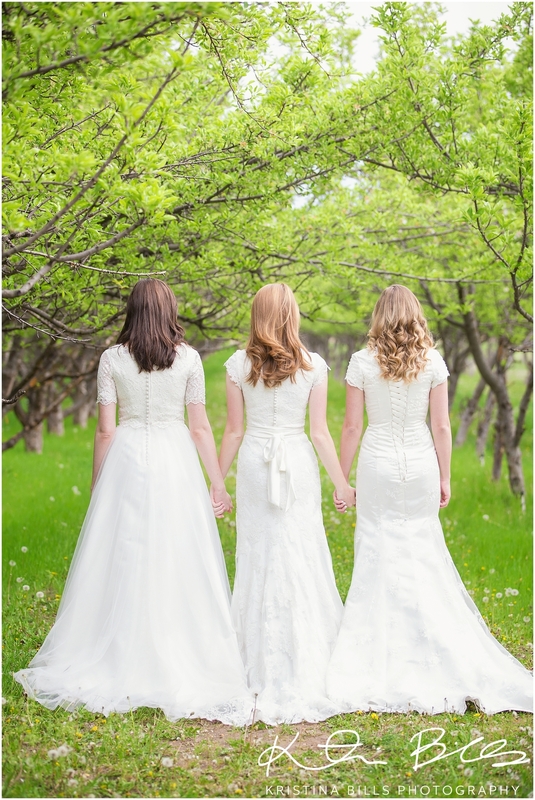 They choose the location, provo orchards and the Utah State hospital. It truly is a beautiful location, just see so yourself. 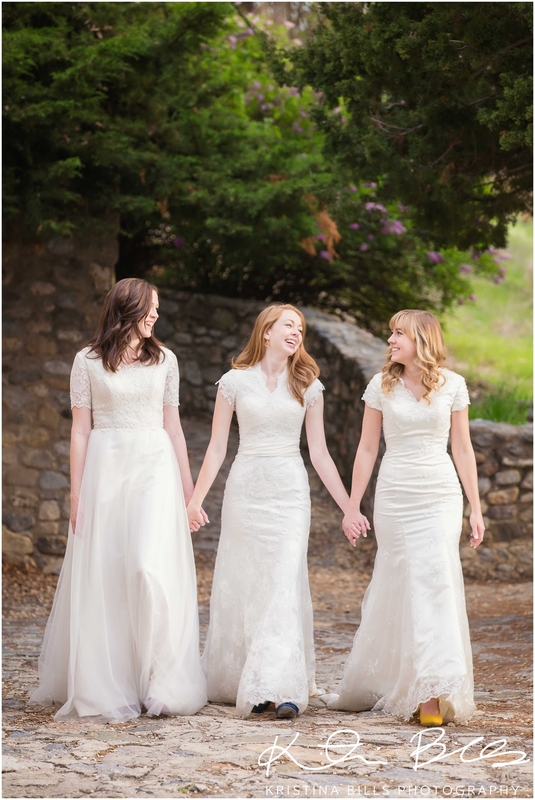 Want to know something cool about the brunette bride? Her and I have the same best friend but we have NEVER met one another in person until this session. My college best friend is her growing up best friend! Talk about small world. It was fun to finally met her, since I had heard so many awesome things about her, including serving and LDS mission. Thank you Erin for reaching out to me and asking me to take these for you! It was a blast and I hope your mother loved the images!